It’s that time of year again when we prepare for our annual participation in Placentia’s Heritage Parade! This year, all our Mini Stagelighters (ages 6 and under) will be riding in a trailer! Ages 7 and up, Miss Dianna has prepared a totally fun routine for you to learn! We hope you can join us for this great time together, performing in a parade, and supporting our local communities. 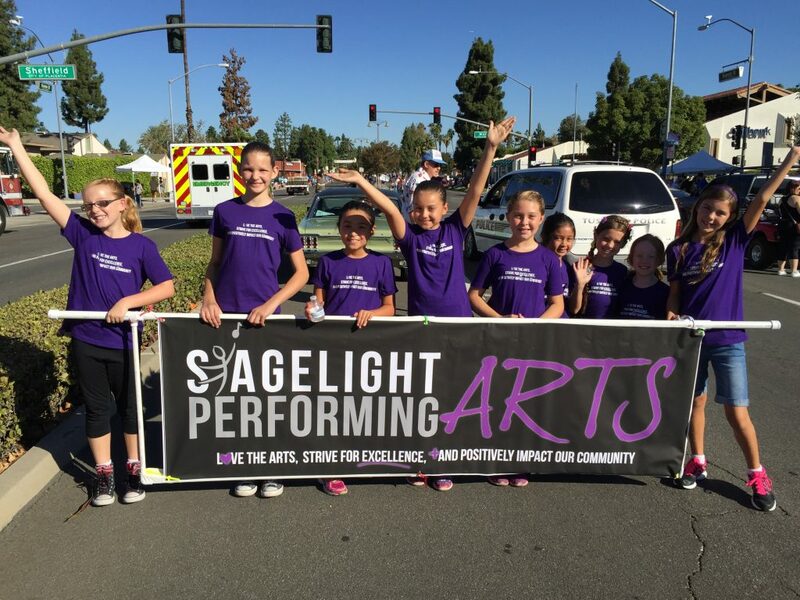 No cost to participate, but a $15 Team Stagelight T-shirt is required. Ages 7+, Ms. Dianna has prepared this fun choreography for you! And don’t worry, we’ll go over it in your dance classes. Watch here for learning choreography. Watch here to practice with music. Chaperones – We need you! We need lots of parent help getting our performers safely down the street. All that is required is a Team Stagelight T-shirt and a friendly smile! Please let us know at the front desk that you’re willing to help, or click here to sign up online. Wear: Black leggings or shorts, Team Stagelight T-shirt, long hair out of face, mostly-black sneakers, and sunscreen!